New Era’s iconic fabric, developed for pro baseball, make this one comfortable cap. 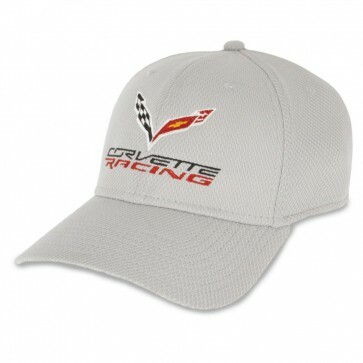 Structured, six panel, mid-profile and stretch fit with moisture-wicking protection. Light Gray. 100% polyester jacquard. 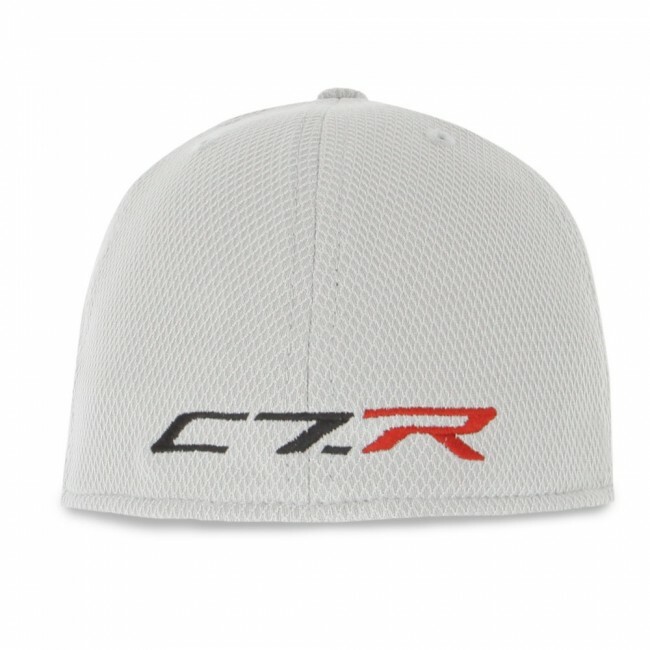 Embroidered with the C7 crossed flags and Corvette Racing signature on the front and C7.R on the back.